As companies return production to U.S. shores, manufacturing is picking up steam. Perhaps as a result, American consumers are more interested in spending their dollars on domestically produced goods. The holiday season is the perfect opportunity to find intriguing American-made products. 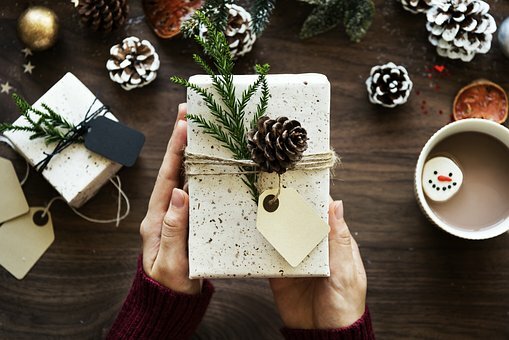 IndustryNet has gathered information from the more than 400,000 U.S. manufacturers and suppliers in its database and assembled a holiday guide of unique American-made specialties for shoppers and corporate gifting. From sweet treats to fashion-forward accessories to fun and exciting toys, explore the following gifts and supplies produced within America's borders by these exceptional companies. For the creamy delight of caramel, check out McCrea's Candies. Chief Caramel Scientist Jason McCrea is dedicated to using natural ingredients to craft candies he describes as the best caramels in the world. McCrea sells both gift boxes and bulk caramels. The company also offers gift cards and a Caramel of the Month Club, perfect for the holiday gift that keeps on giving. Specialized flavorings are available as well. McCrea's caramels are sold online and at retail stores nationwide. The rich southern tradition of pecan desserts and munchables is the focus of Superior Pecans and Gifts. The signature offering is pecan handstacks. Other products include pecan oil, coffee, jams, and jellies. In addition to serving consumers, they also cater to businesses with gift boxes and baskets. Superior will gladly add a company's logo for a customized touch. Their products are available online and at Piggly Wiggly markets. Treats are part of the season's joy, but sugar can be a challenge to the recipients of many delicious gifts. Healthy Chocolates, Florida has a solution. Their candies are sweetened with xylitol, a natural, low-calorie sweetener extracted from plant fiber. Xylitol will not raise blood sugar levels, and studies have shown that it can confer dental and other health benefits. 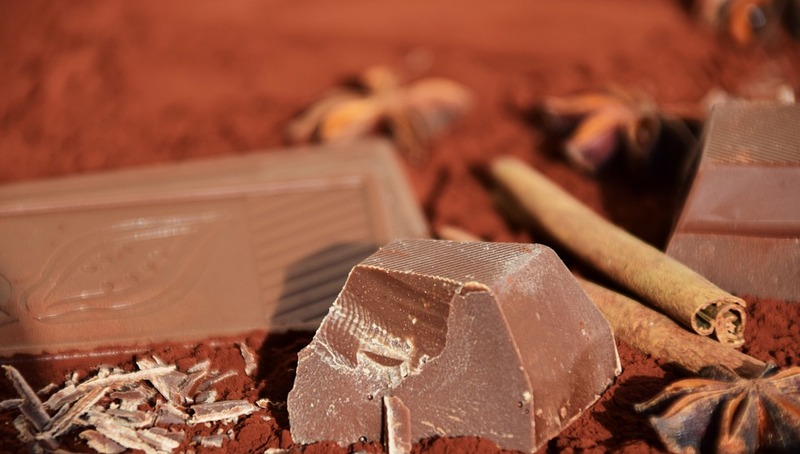 Healthy Chocolates' offerings include snacks, probiotic chocolate, and chocolate supplements. Their products are vegan, Non-GMO Project and kosher. They are available online and at stores in Florida. Customers of Sarris Candies can create their own beautifully boxed, candy assortments. This confectioner offers chocolate-covered pretzels, popcorn, and chips, in boxes or pails. Surprise-filled Bash® products are available for lively celebrations. Cookies, brittles, meltaways, mints, and gluten-free delicacies are easy to order online. Sarris can also fill chef and baker supply needs. Organizations utilize Sarris' services and merchandise for fundraising campaigns. From their modest beginning in a basement in 1975, Weaver Nut Company has grown to supply a panoply of products. Weaver specializes in bulk foods including seeds, grains, fruit butters, salsas, spices, beverages, jams, jellies, and marshmallows. The company has searched out the best kosher candy every sweet tooth could crave. Weaver also accommodates almost any other dietary choice including all-natural, fat-free, gluten-free, low fat, sugar-free, vegan, non-GMO, and organic certified. Weaver has their own fleet of temperature-controlled trucks for deliveries, and any size order may be picked up at their modern warehouse in Ephrata, Pennsylvania. A catalog listing their products is available for download from their website. For the seeker of fine pistachios, Setton Pistachio of Terra Bella is the ideal supplier. A family- owned and operated business, Setton grows, processes, and ships pistachios all over the world from Terra Bella, California. They are committed to environmental responsibility so Setton utilizes solar power and recycles all their waste and biomass. Their products are certified by the American Heart Association Food Certification Program and feature both vegan and non-GMO designations. Specialties include chewy bites and pistachios dipped in dark chocolate. Consumers can find their products in the grocery and gourmet food listings on Amazon. The Rizzo family are the owners and operators of Bernardo Winery. They have produced regional varietals in the Italian tradition since 1927. Their offerings include Sangiovese, Cabernet Sauvignon, Petite Syrah, Syrah, Albarino, Zinfandel, and Merlot. The Old World Village maintained by the winery is just 30 minutes from downtown San Diego. Visitors can experience the tasting room, shops, and galleries. For the benefit of consumers in search of local produce and products, Bernardo hosts a farmer's market every Friday. Founded in 1935, locally owned and operated Portland-based Maletis Beverage is one of the largest beverage distributors in Oregon and Washington. Their portfolio encompasses the international flavors of cider, mead, wine, champagne, beer, and sake as well as an extensive selection of non-alcoholic products such as waters, energy drinks, juices, and teas. Dock sales are available at the Portland facility. Customers can establish accounts and order online. Coffee lovers will appreciate gifts from Euro Coffee in Los Angeles. 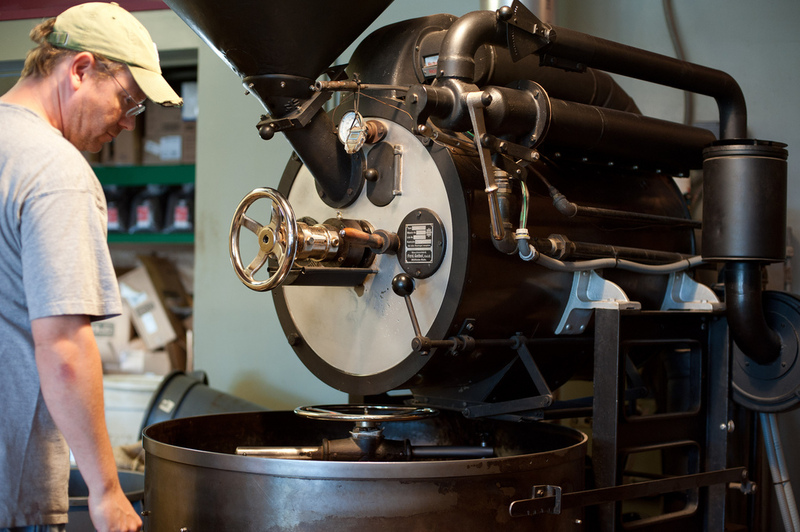 Their proprietary method, Baritone Roasting™, produces full-bodied coffees with robust aromas. Purchases can be made in their online store or by phone. Working with the food service industry, Mother Parker's Tea and Coffee USA of Fort Worth provides solutions for blends, formats, packaging, and design. Their brands include Higgins and Burke, Marley Coffee, Real Cup, Brown Gold, and Martinson. They can be contacted online and also maintain a toll-free phone number. Customers interested in organic coffee should explore the varieties available from Wicked Joe in Topsham, Maine. Wicked Joe's coffees are free trade and directly support farming communities. Their beverages are available to retail customers online and are also offered wholesale. Outlets across the nation feature teas from Smith Teamaker of Portland, Oregon. Smith Teamaker maintains their own tasting rooms where tea aficionados sample their brews. Consumers can purchase a variety of premium teas online. Warm the body and the soul with toasty outerwear from Alpha Industries in Chantilly, Virginia. Alpha offers parkas, field coats, and jackets for both adults and children. Stores across the country feature their clothes. Shoppers can search for a local retailer or order directly on the company's website. Wholesaling opportunities are also available. Bayard Winthrop started San Francisco-based American Giant in 2011 to meet the desire for high quality American-made apparel. The company's current flagship product is a premium garment Slate Magazine has called the "greatest hoodie ever made." Military discounts are available, and products may be ordered online. On a mission to both eliminate waste and create fine products, Portland, Oregon-based Looptworks crafts limited edition products from abandoned excess materials. A wide range of accessories is available for sale online. Bestselling products include backpacks, duffels, carry-on Dopp kits, and messenger bags. Orders totaling over $100 ship free to the lower 48 states. For women searching for soft, easy-to-wear apparel, Fat Hat Clothing Company offers an exciting choice of garments. Headquartered in Quechee, Vermont, the company's line emphasizes layers that keep the chill at bay. Customers' favorite products include signature hats, boxy turtleneck blouses, zip-up jackets, and attached shirts and leggings, dubbed "Spantaloons." The clothes are available for sale to consumers online or by phone. This company is also a wholesale vendor. From the mountains of New Mexico, the uniquely crafted garments of Whispering Spirit make their journey from pastures of alpacas to consumer's closets. The clothing is constructed of feltLoom fabric and is hand-felted, handmade, and locally sewn. Products include jackets and wraps and are available in an array of eye-popping colors. Whispering Spirit's fire nymph jacket won the blue ribbon at the 2016 Western Design Conference in Jackson, Wyoming. Clothing from Whispering Spirit is available for purchase at Handwoven Originals and other New Mexico retail outlets. For the hunters on a holiday gift list, Clarkfield Enterprises of Clarkfield, Minnesota offers a line of outdoor wear for both men and women. A product unique to Clarkfield is the chill-killer neck wrap that insulates from cold and blocks wind. When combined with Grabber Brand warming packets, and paired with Grabber Hand Warmers included free with an order, the chill-killer provides warmth to the entire body. Clarkfield sells retail items to individuals and also wholesales to dealers. The company can be contacted by email or phone, for information on placing an order. From engagement rings to estate jewelry, Jewels by F.K. of Barrington, Illinois offers finely crafted selections. Their jewelers can also refurbish and redesign antique pieces for the perfect sentimental holiday present. As jewelry costs fluctuate with the markets in precious metals and gems, F.K. will provide current pricing information by email or by phone. Brilliant and uniquely designed creations from Holly Yashi of Arcata, California will add glitter and gleam to any occasion. Their selections include colorful jewelry and storage accessories. These gifts are available for purchase online with free standard shipping available with no minimum. GoldsmithSilversmith of Omaha, Nebraska specializes in creating one-of-a-kind designs to fulfill the jewelry visions of their clients. They proudly showcase and sell the work of local artisans. 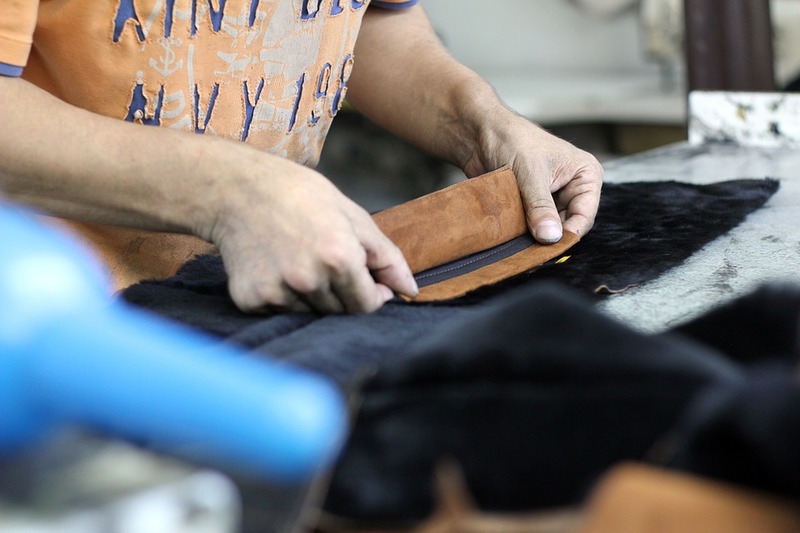 Their skilled craftspersons can also repair family heirlooms. Shopping and chatting are available online. Houston's St. Jude Candle Company offers devotional candles with brilliant colors, pleasing aromas, and beautiful artwork. Featured festivals include Our Lady of Guadeloupe Feast Day and Day of the Dead. 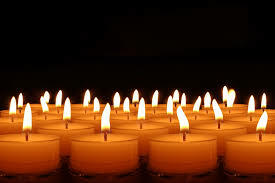 St. Jude's candles are widely available at neighborhood retailers like Walgreens. Information on products is available by email or by phone. Bring beauty and fragrance into holiday homes with candles from Tyler, Texas' Tyler Candle Company. Tyler features special packages with all the candles needed to make a celebration glow. Their products are sold through retail outlets. Contact them to find a store in your area. Logan Creek Soap is a home-based business in Sturgeon Bay, Wisconsin. 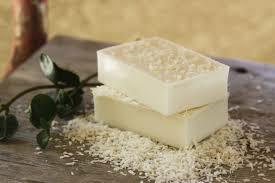 Their soaps are natural products made with food grade vegetable oils. Their line contains no irritating chemicals. Fragrance-free soaps are offered as well as those specially formulated for pets. Customers can order directly online and free shipping is available to a single address. A solution to the needs of small companies, Twincraft Skincare in Winooski, Vermont is a contract manufacturer of specialty soaps and skincare products. They work with their customers' formulators to assure that product development goals are met. Their facilities include a 5,000-square-foot laboratory. Clients can contact them online or by phone. A woman-founded business, Classic Cosmetics in Chatsworth, California is an innovative, community-based enterprise. They are ISO-certified and FDA-licensed for production of over-the-counter drugs. Their in-house research team uses state-of-the-art techniques to develop high quality cosmetics. Companies seeking their services can readily contact them by email. Kitchens will be well equipped with gifts from Regal Ware of Kewaskum, Wisconsin. Their brands include Saladmaster, Lifetime, Kitchen Fair, Royal Queen, Classica, and American Kitchen. Customers can shop online. Parts and service are also available. Lloyd Pans manufactures commercial baking equipment in Spokane Valley, Washington. They provide everything from cheesecake pans to rocker knives. Using their capacity for custom metal fabrication in an ISO-certified facility, Lloyd Pans can provide fast prototyping for customized culinary products. They can be contacted by email or toll-free by phone. Creators of thoughtful gifts for animal lovers, Cuddle Clones of Louisville, Kentucky makes custom stuffed animals of beloved pets. The toys are handmade from 100 percent acrylic. Cuddle Clones donates a portion of each sale to worthy pet causes. Customers can view samples and shop online. Customers can find puzzles with five different levels of complexity at The Puzzle and Craft Factory in Hudson, Massachusetts. These puzzles are made of toxic-free substances. Laser cutting and engraving aid in the creation of puzzles for commercial customers' marketing campaigns. Orders can be placed using an online form. Gifts to soar on the breeze are manufactured at Skydog Kites in Colchester, Connecticut. The company makes a wide range of kites, including sport and power models. Customers can request a catalog online, and an online locator can be used to find for both web-based and storefront dealers. IndustryNet, America's premier industrial marketplace, offers data on more than 400,000 U.S. manufacturers, as well as suppliers of more than 10,000 industrial products and services. With a free search, a customer can easily contact a business through email directly from a company's information page. Listings also provide phone numbers, addresses, websites, product information, social media links, photo libraries, corporate videos, catalogs, and more. Are you an industrial supplier or service provider? IndustryNet can help steer qualified buyers to you. Learn more about our marketing solutions. Related Companies: Alpha Industries, Inc., American Giant, Inc., Clarkfield Enterprises, Inc., Classic Cosmetics Inc., Cuddle Clones, LLC, Euro Coffee, F.H. Clothing Co., Goldsmith Silversmith, Inc., Healthy Chocolate Florida, LLC, Holly Yashi, Jewels By F. K., Land Of The Gummies, LloydPans, McCrea's Candies, Mother Parkers Tea & Coffee USA, LTD, Puzzle & Craft Factory, The, Regal Ware, Inc., RM Beverage Delaware, LLC, Sarris Candies, Inc., Setton Pistachio of Terra Bella, Inc., Skydog Kites, LLC, Smith Teamaker, LLC, St. Jude Candle Co., L. P., Superior Pecans & Gifts, Twincraft Skincare, Tyler Candle Co., LLC, Whispering Spirit Alpacas, LLC, Wicked Joe Organic Coffee Co.